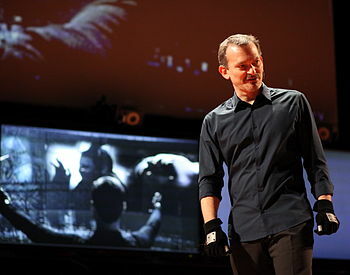 Inspired by the now infamous TED Talk presentation by John Underkoffler (scroll to the end of this post if you haven’t seen it yet), one of the leading MIT researchers behind the Futuristic UIs and Technologies that appear in the 2002 Sci-Fi film Minority Report, I’ve set out to find my own “best approximation” of a futuristic yet simplistic controller interface for my Home Theatre. In considering this home Do-It-Yourself (DIY) project, I wanted to cover the full spectrum of possibilities, from the most simplistic options to the most complex. Another major restriction I put on myself was budget. No single solution should cost more than $100 to implement, and in fact, the cheaper the better! Of course, I should also acknowledge that most of my intended use-cases could have been solved by purchasing a Smart TV (depending on the brand and software version of the unit) however again, due to budget limitations that’s out of my range and I’m assuming also out of the range of the majority of readers here, not to mention it really defeats the purpose of trying to get this all working on a 100+ inch projection screen, which is a screen size that’s definitely out of most people’s price range! 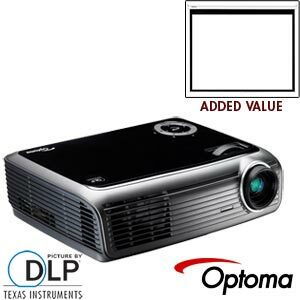 The projector I’m using is the Optoma EW1610, which I purchased for about $800 back in late 2009. Its four years old now but it has aged quite well, and the specs were the best I could afford at the time. The point was, I knew that it would come in far more affordable, not to mention handy (and be a heck of a lot lighter during my frequent moves) than a big-screen TV with similar specs. There are significantly more powerful projectors available for the same price-range today, or for even less.